Black Ops has returned again for a fourth installment with more zombie killing, multiplayer action and this time – Blackout, a brand new battle royale experience. Even without a single player campaign, Black Ops 4 is definitely deserving of your time and precious pennies, and let’s be honest – when was the last time you played the entirety of a Call Of Duty story anyway? We’ve seen countless iterations of Call Of Duty multiplayer now and as a result of this, it’s hard to create the same hype and long lasting interest in the team based game modes that we’ve seen for the past decade, which may be why CoD has moved into the Battle Royale market…but more on that later. Black Ops 4 multiplayer is still a rewarding experience. Whether you are calling in your hellstorm scorestreak, hitting that sweet quickscope, clutching the last round of search & destroy or even using your super satisfying specialist ability to wipe out an entire team – the fundamentals of the Call Of Duty multiplayer we all fell in love with are still very much there. Fans of “boots on the ground” gameplay will relish the opportunity to jump back into popular maps such as Firing Range, Jungle and Slums, all of which have been updated from previous Black Ops games. There’s also a new game mode in Heist. You and your team have to steal a bag of cash before the opposition and take it to an extraction point – sounds simple right? Not when you start with just a pistol, limited ammo and $500 with which you can buy new weapons, perks and scorestreaks as the rounds go on, adding a much more tactical aspect to the latest edition of Black Ops multiplayer. Zombies mode continues with you battling your way through waves of the undead but this time with two separate story lines. In Blood Of The Dead, a remake of Black Ops 2’s Mob Of The Dead, you play as the awesome foursome we all know from the original zombie maps. The Alcatraz setting has been slightly redesigned with a couple of new areas, making the map a lot bigger. 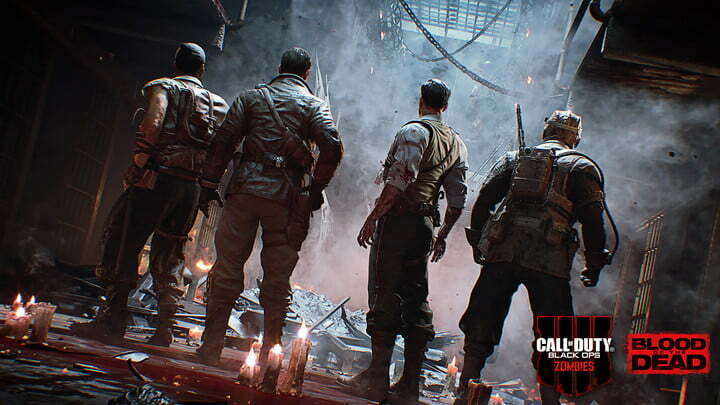 However, the new Zombie maps have you play as a group who are equally as charismatic and no doubt will have a similarly mind boggling back story. IX (nine) throws you in a colosseum – fighting elemental zombies, tigers, blight fathers and huge mutated gladiators… you know everything that was chucked in the arena in Ancient Rome. There are 4 main temples, each themed around a different mythical god where you can summon a challenger – spoiler alert, it gets crazy. Remember the days when you would spend hours on end with your friends trying to find every secret easter egg or simply just trying to get to the highest round possible, all while the hours flew by without you noticing…well, that’s IX, a genuinely great zombies experience. The other new map is Voyage Of Despair, seeing you stranded on the Titanic running through tight corridors and narrow walkways. The doomed cruise ship is super challenging but the aesthetic is immensely engaging. After getting a few crawlers and running around like a headless chicken for a few hours you will have mapped out the entire boat from top to bottom, until you take one wrong turn and you’re lost all over again. That’s one of the main reasons Voyage Of Despair is so challenging, that and the zombies of course, but just like in multiplayer you can pick a specialist weapon to help you out in sticky situations, and trust me when I say they’re extremely cool. 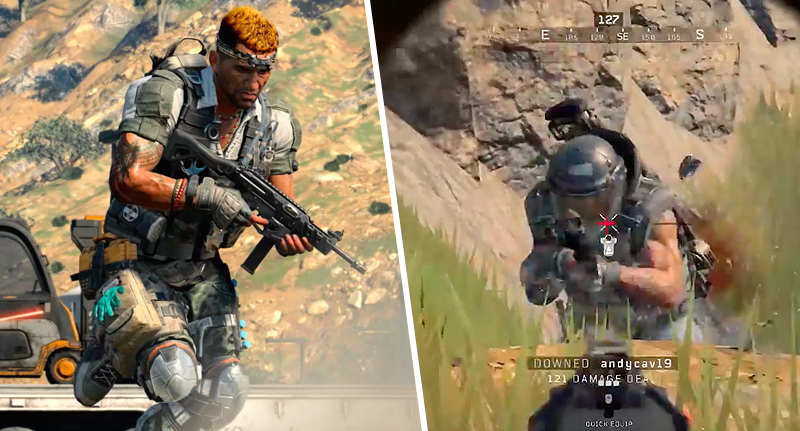 Now let’s move on to what everyone’s been talking about – Black Ops 4’s very own battle royale mode, Blackout. 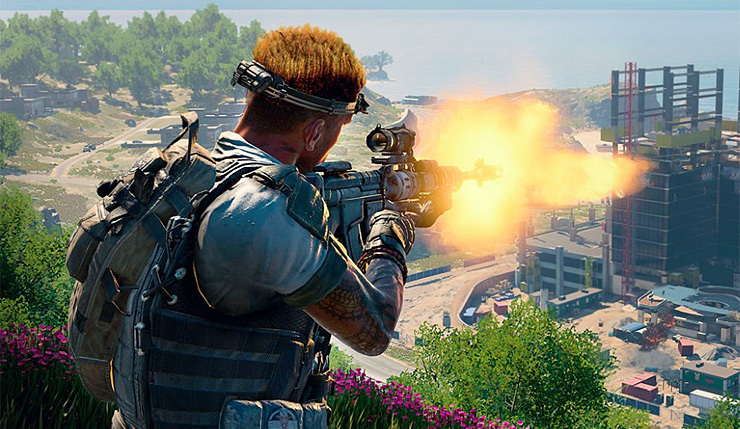 When Blackout was initially announced a lot of people were justifiably dubious – perhaps Treyarch were just jumping on a trend to make a quick buck? Well possibly they were, but who can blame them? Either way I don’t care because Blackout is sublime. Everything about Black Ops 4’s battle royale just works. It’s challenging yet fun, making you want to keep playing over and over to improve. The map is extremely well designed with games that are perfectly paced. The weapons are extremely well balanced and special items like the grappling hook mean that you don’t quite know what is going to happen next and if you manage to pull off an amazing play, it feels so satisfying. Perhaps the armour could do with a little tweaking, for example if you’re in a 1v1 against someone with level 3 armor, you better hope that they’re terrible at the game, otherwise, you’re almost definitely going back to the lobby. I’m sure that will be fixed with a patch soon though. Players of previous Black Ops games will recognise lots of the locations on the vast map. From the hectic “Nuketown Island” to the more out of the way “Estates” to the zombie infested “Asylum” – there’s a great mixture of areas to explore. If Treyarch continue to update and improve Blackout over the next year, it will be head and shoulders above the others in the battle royale market. It’s that good. Whether you’ll be playing Multiplayer, Zombies or Blackout, you’re going to have one hell of a good time. 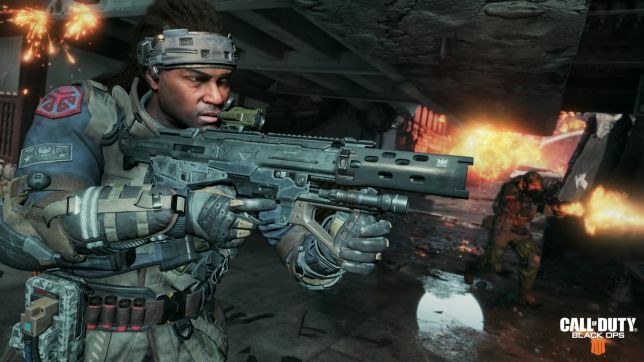 Black Ops 4 does a very good job of accommodating fans of the Black Ops series while introducing lots of new additions. Something that is very refreshing to see and contributes to Black Ops 4 being one of the best Call Of Duty games in the modern era.